I was extremely lucky to receive an e-book copy of Coffee, tea, the Caribbean and Me directly from the author Caroline James in exchange for an honest review. 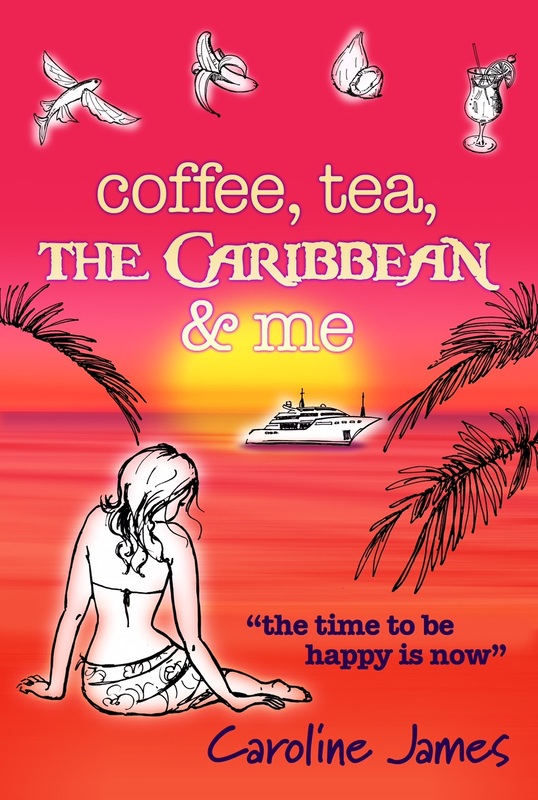 Reading Coffee, Tea, the Caribbean and Me was like a breath of fresh air, the writing was extremely beautiful and when I finished reading it, I had to check whether I'd picked up a tan from the Caribbean sun I was so immersed. The story follows Jo and Hattie and their escapades after they have suffered a divorce and a death, It shows real people reacting in realistic ways to things that can happen to anybody. There is a lot of fun thrown in and a lot of dream situations too (Long Tom Hendry - just trust me on this) and there is such a great feeling of warmth and family throughout the book. I'd have to say that Hattie is my absolute favourite character, she's so much fun and takes life on the chin. She says yes to everything and will try anything once. Everyone needs a Hattie in their life to remind them that life doesn't always have to be serious. There are highs and lows throughout and you will 100% need a tissue at one point so do be warned! I absolutely loved this book and it's a big recommendation from me, I gave this book 5 stars on Goodreads. Nerdish Mum - Coffee, Tea, the Caribbean and Me is set partly in the Caribbean and other books you have written are set in various beautiful destinations; are you a big traveller and have you visited all the places you have written about? Caroline James - I like travelling very much and have wandered off the beaten track on several occasions. The Caribbean is a favourite spot but I've been as far as China and Peru and love the diversity of America. I would need to write a great many book to cover all the destinations - now there's a challenge! One of my favourite places in Kinsale in Southern Ireland. I went to a food festival there and it was the wackiest four days I have ever experienced, so much so that I went back and wrote a book based around the festival. Nerdish Mum - As you do set your books in such a wide variety of places, is there a lot of research that goes into making the places sound as authentic as you make them sound? Caroline James - All research can be done by using the Internet and a vivid imagination, but there's no better way of getting the feel for your book than by visiting the setting that you are about to place your characters in. It's the little details that matter, like sounds, touch, taste and sight - things that personal experience can help bring alive on the page. Nerdish Mum - What is your absolute dream destination for a holiday and would you have an action packed holiday or a nice relaxing one? Caroline James - I love sitting on a beach but that never lasts long. I always want to know about the place I'm visiting so a holiday would be a combination of both. I like trekking and love being in the mountains. I don't have a dream destination as there are so many fabulous places to visit. India is on the bucket list but Barbados pulls me back. There is an expression in Barbados: My belly-button is buried in Barbados, which means the island tugs you back. It does. Nerdish Mum - Jo and Hattie from Coffee, Tea, the Caribbean and Me are both wonderful characters in their own right, is there any of you in either of their personalities? Caroline James - I used to think I was a bit like Jo but as she's developed she irritates me at times and I wouldn't be comfortable with being like her. Hattie is so much larger than life and has a humour very much of her own, there might be a touch of me in Hattie and secretly I'd love to be like her as she embraces everything that life has to offer and is brave enough to give anything a go. Nerdish Mum - Do you have a favourite character that you have written so far? Caroline James - I love Long Tom Hendry. In fact I'd like to spend the rest of my days with him! He is an ageing rock star who has appeared in two of my books. He is so laid back and accepting of life but still has a naughty spirit that refuses to settle. I think it would be quite a wild ride with Long Tom but one I'd happily saddle up for! Nerdish Mum - You've always wanted to be a writer, what was it about writing that called to you? Caroline James - I wish I knew. Is it escapism? Or perhaps it's having the confidence to write and be able to say "I've done that!" I never thought I would be good enough, having totally messed up my school years and only only finding education later on. Now, to see my books on a library shelf is quite simply wonderful. I'd like to find my old English teacher and say thank you, as her class was the only one I wanted to turn up for. 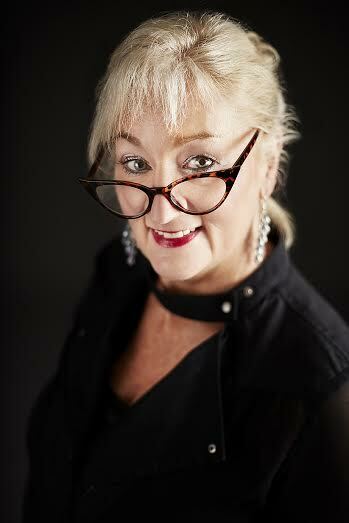 Nerdish Mum - You're also a qualified caterer, do you use your experiences in this world in your books and do you enjoy adding food related touches to your writing? Caroline James - Yes, all the time. Write what you know? I know all about catering an it is a great pot to dip in to. Food completely floats my boat and I'm never happier than when preparing food for others and enjoying their company over a good meal. Or making a cake and giving it away. It is natural for me to share this love in the pages of my books: the writing somehow seems to flow if it has anything to do with food. 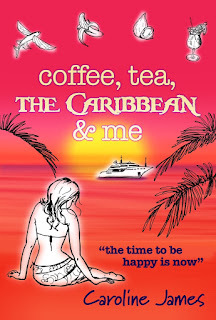 Nerdish Mum - "The Time To Be Happy Is Now" is the tag line on the front cover of Coffee, Tea, the Caribbean and Me and is also very important to the story, is this saying something that you live your own life by? Caroline James - It is something my Mum always said to me. She was an incredibly optimistic person with a great joy for life and people and I miss her terribly but try to live by her words, as I think they are so true - no matter how difficult the circumstances. 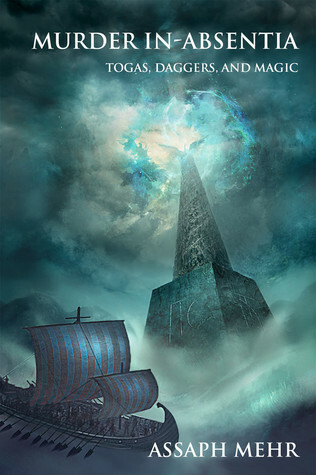 Nerdish Mum - Do you have a favourite place to write and do you have any kind of ritual you go through while writing? Caroline James - I'm horribly rigid with my writing routine and have to be at my old desk with everything in proper order. Right down to the angle of my favourite pen. I wish I could write on the hoof in a cafe or somewhere interesting but I'd get too distracted and never get down to the business end of the writing. Nerdish Mum - Do you have a favourite novel or author? Caroline James - The Drifters by James A Michener is a book I read in my teens. It had a profound influence on me and after turning the last page. I packed up and left home and set about a path to become the person I am today. I've never re-read it - I am too scared to see what it might do to me now! Finish It February 2016 Wrap Up! Back at the end of January I announced that I would be taking part in Finish It Feb and I gave myself a nice varied list of 12 books to choose from throughout the month to pick up and read. I really enjoyed the idea of this challenge as I have a bad habit of starting a series and then being distracted by something else. So having to concentrate on finishing things off, or at least finishing the books I own in a series so far, was very motivating. I'm definitely glad I chose to give myself so many books to choose from as I don't think I would have been as successful as I was as I would have felt restricted if I only had one or two options. 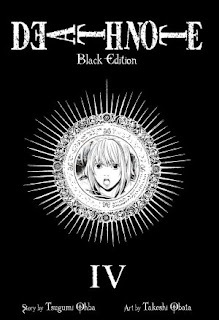 The first book I read was Death Note: Black Edition, Vol. 4 by Tsugumi Ohba. 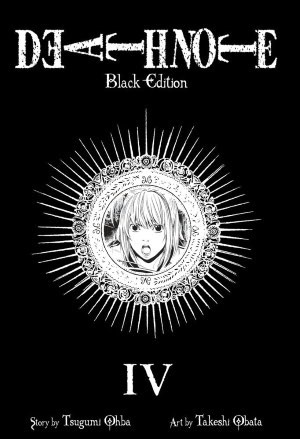 It's the fourth bind up of Death Note and it is not the final book in the series, however it is the last one that I own so far that I haven't read. I plan on picking up the final two volumes in the next couple of months and will read them as I get them so I stay up to date. The second book I read was The Kill Order by James Dashner which is a prequel to the Maze Runner trilogy. I own all of the Maze Runner books (so far anyway as I believe there will be another book out this year which I'll also be picking up and reading), but this is the only one I hadn't read. 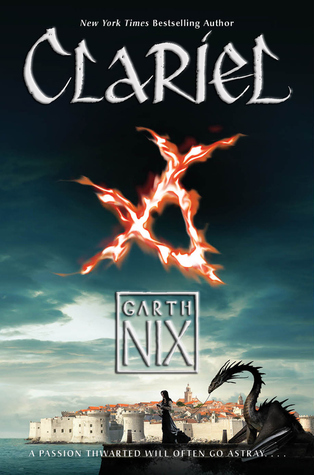 And finally the last book I read for Finish It Feb was Clariel by Garth Nix, which is another prequel to a trilogy. I've owned it for quite a while now as I was super excited when it was released and then books for review and other books got in the way. While I was reading this Garth Nix actually announced that the next book in the series will be out in October this year (2016), so I'll definitely be picking that up when that comes out too. Three books doesn't seem like much, but it's three books of series that I now no longer need to read and I enjoyed seeing the pile go down as I chose them, so I will probably do this again at some point in the future. If you want to check out any of the reviews I did for the books I read, my Goodreads profile is here. Did you take part in Finish It Feb? What books did you choose to read? I was lucky enough to receive an ebook coy of Murder In Absentia directly from the author Assaph Mehr in exchange for an honest review. Murder in Absentia is a crime story set in a fictional city called Egretia in ancient Roman times. The main character is Felix the Fox who is a private detective of sorts, who is called upon to solve the murder of the son of a senator. He must use all his cunning, wits and magic to solve the crime. The story is fast paced and well written and is extremely enjoyable to read. The world is well built to fit into Roman times but without being tied to anything specifically historical that may affect how the story pans out. I like how the magic works within this world and how its explained throughout, a lot of time and thought have gone into making it a realistic and workable magic. Felix is a fantastic character as he is a "good guy" but he has his own demons and struggles with them on and off throughout the story. I feel he is a very realistic character and he is easy to relate some part of your life to. I like the way he works even when he's in the shadier side of his business. As well as mystery, murder and magic, there is action and there's just enough of it to make things interesting without it taking over the story. The action that occurs during Felix's travels across the sea is particularly well done. The only thing I can say in complaint about this book is sometimes there is a whole heap of information and description given at once, it kind of overloads you. But this happens very rarely, so like I say, it is only a very small complaint. I'd definitely recommend that you go out and try this book as it's something familiar in a different package and its very well done.